TEEEL evokes classic cinema on video for synthwave single "Radar Lovin"
New Jersey electronic musician TEEEL, AKA Jim Smith, is a man who knows his way around some synth hardware. Most pictures of him online show him in his room full of vintage synthesizers and guitars which he uses to create his punchy, 80'-soaked synth pop. He's spent the early 2010's releasing albums like Hydrostatic and Amulet on acclaimed electronic labels Mush and Moodgadget, respectively. Today we find Jim riding the line between driving synth rock and dreamy electro pop on his latest single, "Radar Lovin." 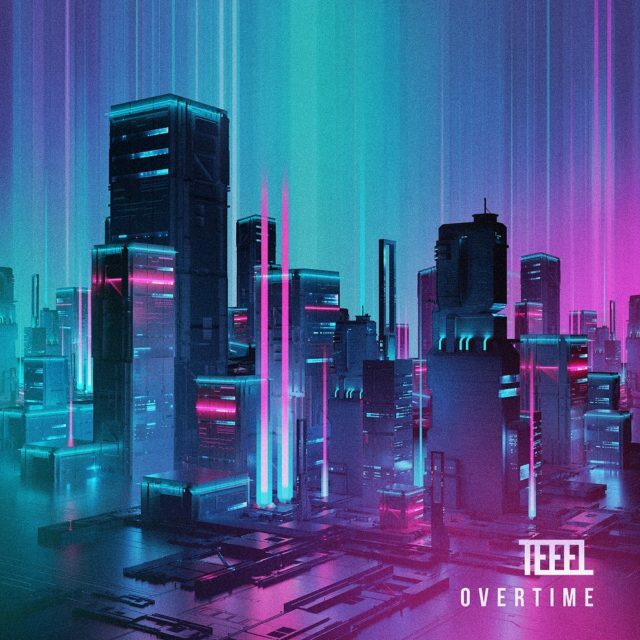 The single comes from TEEEL's upcoming album, Overtime, which features artwork by graphic designer BEEPLE. Accompanying the tune are some black and white clips from an old 1950's film. "'Radar Lovin' is about growing up in my home town and running away with my girl. I blended the feeling of a 50's love song and something you’d hear in a 80's John Hughes movie," said Smith via email. "I thought it was appropriate to use archived footage from a 1953 sexual educational video about dating and getting married." The drums are crunchy, the groove is steady, and the synths are aplenty on this track. Guitar fleshes out the tune, as does the catchy chorus and repetition of the hook "I wanna show you my love / Show you my love." It's a great first taste of what's to come from the album, which will be released February 22nd via TEEEL's own label, Synth Records. You can pre-order Overtime, including a copy of the album on "translucent aqua with opaque magenta and purple heavy splatter" vinyl on TEEEL's Bandcamp here.